Data is kept on our systems, private and is only used by our prescribers. Your treatment sent in plain unmarked packaging. Registered pharmacy in the UK, we only dispatch genuine medication. Our medical team ensure you receive the correct prescription and treatment. Prices are inclusive of free consultation. If your order is approved by 3pm you could have your medication next day UK & EU.
! Login details will have been sent to the registered email used when placing order. Check you email inbox/spam folder. Prices are inclusive of free consultation. If your order is approved by 3pm you could have your medication next day. 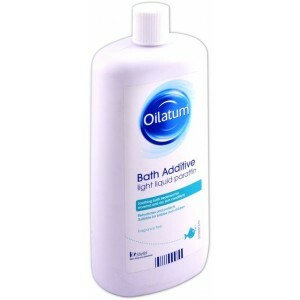 Oilatum is a bath additive which helps to moisturise the skin of those who suffer with dry skin conditions. To order Oilatum online from Prescription Doctor today, click the green button below. If your order is approved before 3 pm, our UK registered pharmacy will dispatch your order the same day in discreet packaging. Click on the green "proceed to consultation" button. Fill in our short consultation form. Choose delivery method and mode of payment. Our team of expert prescribers will assess whether medication is suitable. If you get the green light and it is deemed suitable, your order will be processed quickly and efficiently. Your privacy is important, Prescription Doctor are committed to keeping your details completely confidential. This is why we also take steps to conceal your prescription products under two layers of packaging. We have a commitment to delivering a discreet service and understand your need for privacy. We ship all orders via a trackable courier using discreet, plain packaging. Do I Need to Wait in All Day for Delivery? Once your order is dispatched you will receive a tracking number via sms and email. We deliver medications between Monday and Saturday. You can upgrade to Saturday delivery on Friday. My Order Hasn’t Arrived What Should I Do? You should receive a tracking number with your order which you can use this number to track your parcel online. This should give you a clear indication of where your parcel is. If you haven’t received your parcel in the time frame given by our couriers, contact your local depot to find out where it is. You can also contact our support team who will do this for you. Can I Be Notified by Text? On checkout you will be asked to leave your mobile number so our courier can text you about the delivery. This is also useful if the courier has problems finding your address. We will not use your mobile number for anything else. You can pay for your order using credit, debit card or via bank transfer. I Don’t Have a Credit Card, How Can I Pay? If you don’t have a credit or debit card you can pay via bank transfer. We will give you a unique reference number at checkout along with details of how to make the transfer. Once the money has cleared in our account, we will process your order. How Do You Keep My Details Safe? We are a completely secure site and take many measures to ensure your details are kept safe. We understand that you have a right to extreme privacy when purchasing sensitive health medications. All information that you provide to us is stored on our secure servers. Any payment transactions will be encrypted using SSL technology. You can pay for your order using credit, debit card and bank transfer. Card Payment: Please notify us that you wish to cancel your order. Your refund will show available In 1 - 3 days. Bank Transfer: A member of our team will contact you requesting for your bank details. These details are only used to transfer the funds back into your account. How does Oilatum bath work? How do I use Oilatum bath? Oilatum is a bath additive (similarly to a bubble bath solution) which is intended to treat dry skin in those who suffer from conditions such as eczema or dermatitis. The condition can affect any area of skin in any capacity - some people may experience small patches on the arms or legs, while others may experience widespread dry skin which can cause symptoms to a full body rash. The symptoms may not be present all the time but may worsen or flare-up occasionally. Oilatum contains a light liquid paraffin (refined mineral oil). This substance fortifies the natural barrier in the skin which is responsible for retaining moisture when applied to the skin. This keeps the skin hydrated which over time reduces the dry skin. Oilatum bath can be used in two ways. The intended method of use is by adding 1 to 3 capfuls of Oilatum to an 8 inch bath of water. Bathe for 10 to 20 minutes. If you have a shower or a wash, rather than a bath, you can use Oilatum similar to a soap or shower gel. Apply a small amount of Oilatum to wet skin when washing. Rinse and pat dry. You must always use Oilatum with water. After washing, it is important to dry your skin by dabbing with a dry towel. Avoid rubbing as this can rub the oil off your skin and reduce the effectiveness of the treatment. All medicines have the potential of causing side effects, though not everybody gets them. Understanding the side effects associated with your medicine, and what to do if you experience them, is vital to your care. If you experience any side effects, whether they are listed above or on the label, speak to your doctor or pharmacist. You can find your nearest pharmacy using the NHS' Find A Pharmacy service. How to stay safe while using Oilatum? Liquid paraffin is highly flammable. It is very important that any surface which the Oilatum has come into contact with is kept away from naked flames and cigarettes. This includes - but it not limited to - clothing, bedsheets and towels. Oilatum can make surfaces slippery. Take extra care when getting in and out of your bath when using Oilatum to avoid injury. Avoid getting the solution in your eyes. If the solution comes into contact with your eyes, immediately rinse your eyes and consult your doctor. Do not use Oilatum if you are allergic to any of the ingredients. Always keep medicines out of the sight and reach of children. Can I use Oilatum while pregnant or breastfeeding? It is considered safe to use Oilatum while pregnant. Breastfeeding mothers should take care when using Oilatum. Ensure there is no residual product left on the breast area before feeding your baby. What are the ingredients of Oilatum bath? Oilatum contains light liquid paraffin BP 63.4% w/w, Acetylated Lanolin Alcohols, Isopropyl Palmitate, Macrogol 400 Dilauate, Macrogol Ester, Fragrance. Dosage: 1 to 3 capfuls in an 8 inch (ca. 20 cm) bath. Bathe for 10 to 20 minutes. Description: Oilatum bath is an emollient which fortifies the protective layer of skin which retains moisture. Copyright © 2013 - 2019 Prescription Doctor. All Rights Reserved. All your data is encrypted and is only used by our specialised medical team. Pharmacy deliver in discreet plain packages and never use our brand name on bills or delivery papers. Our pharmacies are based in UK and only dispatch UK medications. Our partner doctors will look after your prescription. All prices on this site are for the entire service. This includes the product, consultation and next day delivery. HealthExpress offers a next day delivery service as the present standard shipping option. This includes most UK addresses and is completely free of charge. Your parcel will require a signature at the delivery address - this can be either from yourself or a family memeber/friend. All UK orders are dispatched using Royal Mail Special Delivery. This guarantees next day delivery to most UK destinations between Monday and Saturday. Orders need to be placed before 4.30pm Monday to Friday. Parcels will be delivered by 1pm on the following working day. Any orders placed after 4.30pm on Friday or on the weekend(Saturday and Sunday) will arrive on Tuesday before 1pm.